Now 37, Jin-Hee is a dutiful wife and mother, but preparing Kimchi and raising two rebellious teenage children just isn’t enough to stimulate Jin-Hee’s naturally active mind. When a spate of home invasions occur in her local neighbourhood, and one of her girlfriends becomes a victim, Jin-Hee decides to take the law into her own hands and administer justice. Silent, accurate and efficient, Jin Hee, it transpires, is an effective killer - cleaning up the streets of Seoul and able to be back home in time for breakfast. 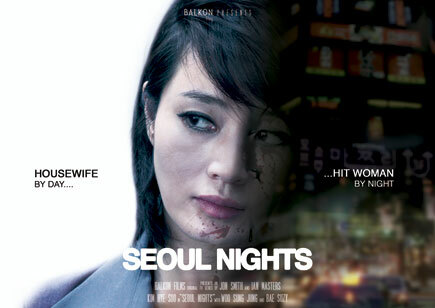 Jin Hee balances her responsibilities to her husband, home and children with her vigilante escapades. The stakes are raised however when Lee Du Ho a high-ranking North Korean military defector is paraded in Seoul as a PR coup. Jin Hee suspects he’s not defecting at all, but is in fact on an active mission and she’s the target! Homeland meets Shiri in a fast-paced TV drama that subverts suburban living at every turn.